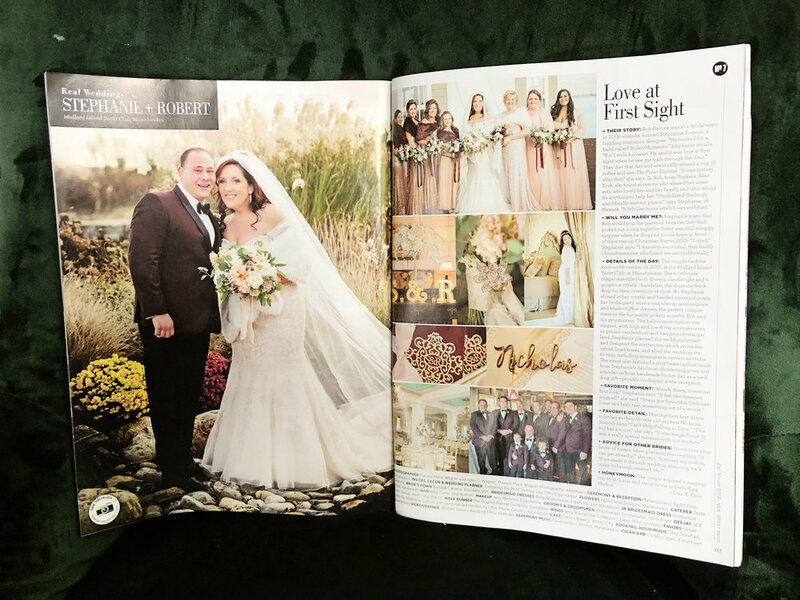 This wedding is near and dear to my heart, these two love birds are close to celebrating their one year anniversary and they just had their gorgeous wedding published in the Fall issue of New Jersey Bride! We have worked with the bride Stephanie, artist and owner behind Designing the Most Inviting Day a custom invitation and stationery company, for many years. 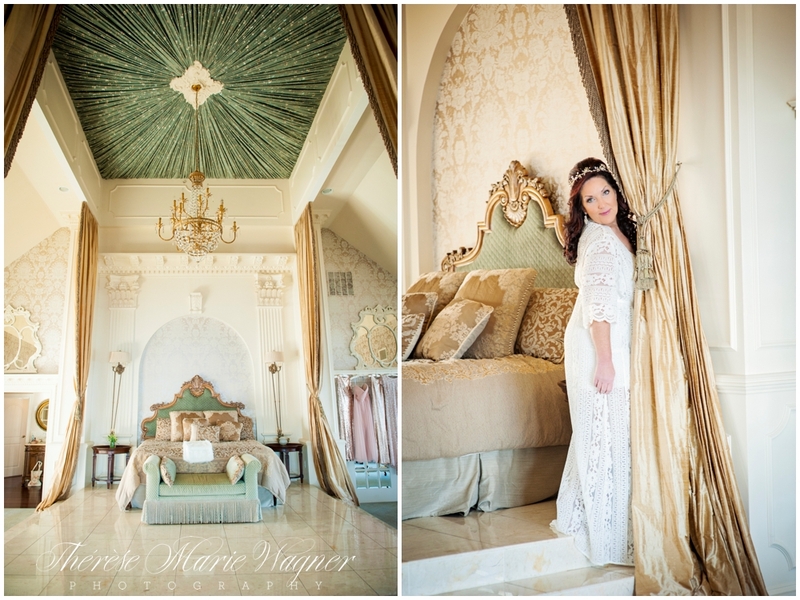 Her warmth, talent and eye for every detail had us chomping at the bit to see all of her wedding day creations. It was such an honor for my sister Julia and I to be chosen as her photographers and we were in excellent company with Michael Simons who artfully directed the videography. 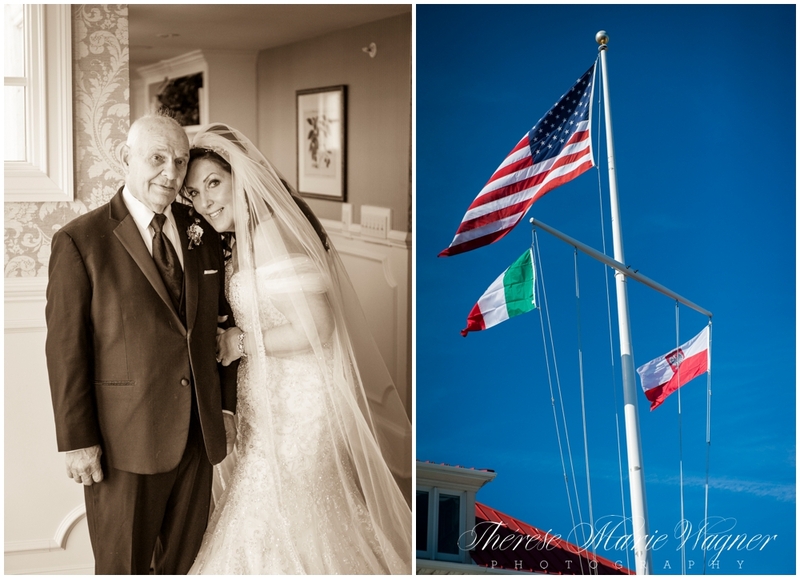 Stephanie and Rob selected the exquisite Mallard Island Yacht Club in Manahawkin, NJ, one of the Weddings of Distinction venues, for their special day. 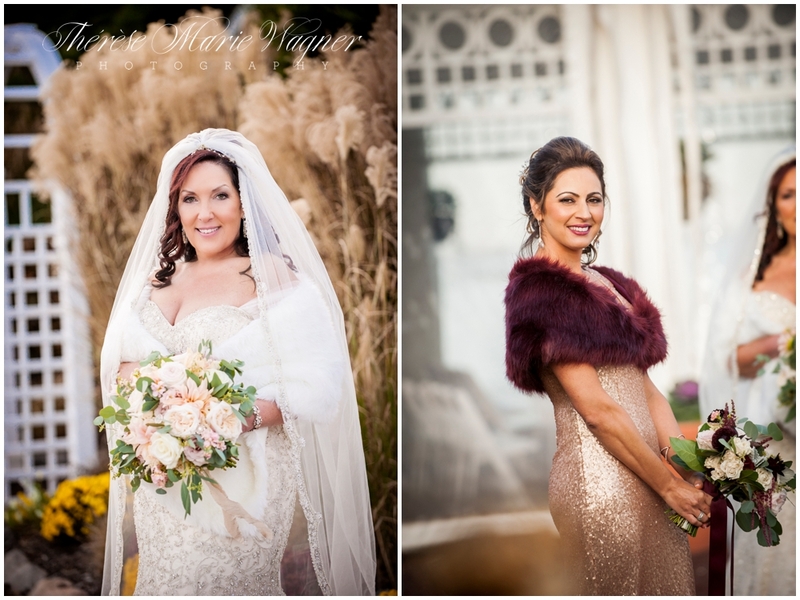 A crystal-and-beaded mermaid gown by Danielle Caprese purchased at Kleinfeld Bridal fit Stephanie beautifully and paired perfectly with her bridesmaids’ blush chiffon and gold sequined gowns with merlot caplets. Amy Martinez and Billie Curtis were the hair and make-up dream team enhancing Stephanie’s natural beauty. 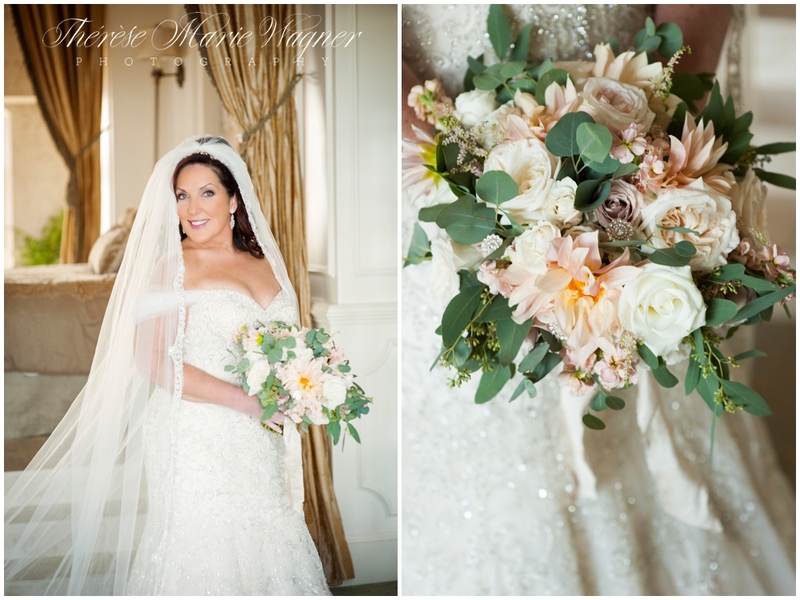 Michele of MDS designs created stunning bouquets of blush, creams, merlot and eucalyptus with silk ribbons and crystal brooches. Of course the invitations were an absolute work of art, arriving to guests in custom merlot colored velvet lined boxes with blush accents. Rob and Stephanie meet at a bridal expo where he was working for a band called Stolen Moments and she was a talented budding invitation designer. It was love at first sight! 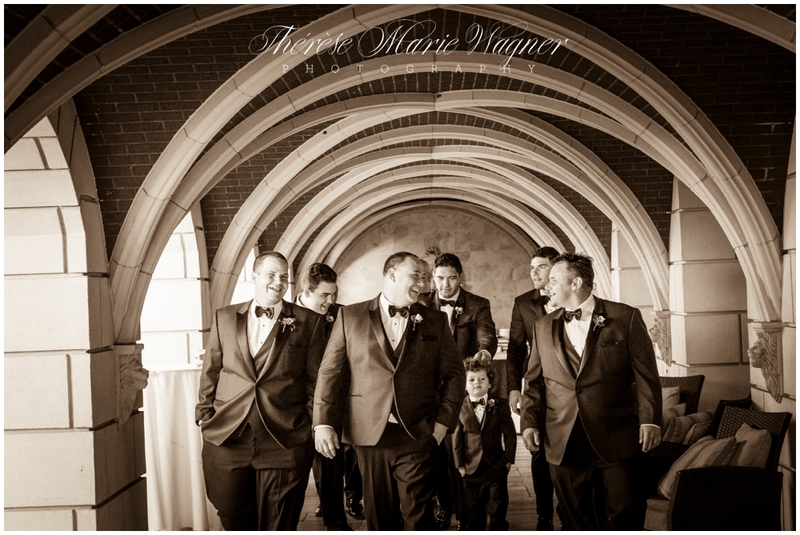 For the big day Rob and his crew looked dashing in burgundy jackets by Chazmatazz Formalwear. He spent time before the ceremony with his oldest friends, family and nephews in Mallard Island’s fabulous groom shack! Their first look was Stephanie’s favorite part of the whole day, she “felt like time just stopped.” Rob’s look of surprise, love and his tears of joy made it even more special. The couple took their bridal party for a walk around the grounds for pictures. Two swans swam right in front of the bridal party and Stephanie felt like her grandparents were watching over her from above. Michele of MDS exceeded every expectation with her floral display for the ceremony. Dripping orchids, crystals, a chandelier and a custom golden glittery aisle runner from The Original Runner Company set so beautifully in the outdoor chapel on the water. From inside it looked as if you were on a ship in the middle of the water. Merlot velvet custom monogramed programs designed by the bride, mugs of hot chocolate, apple cider and cream blankets greeted guests on route to the ceremony. 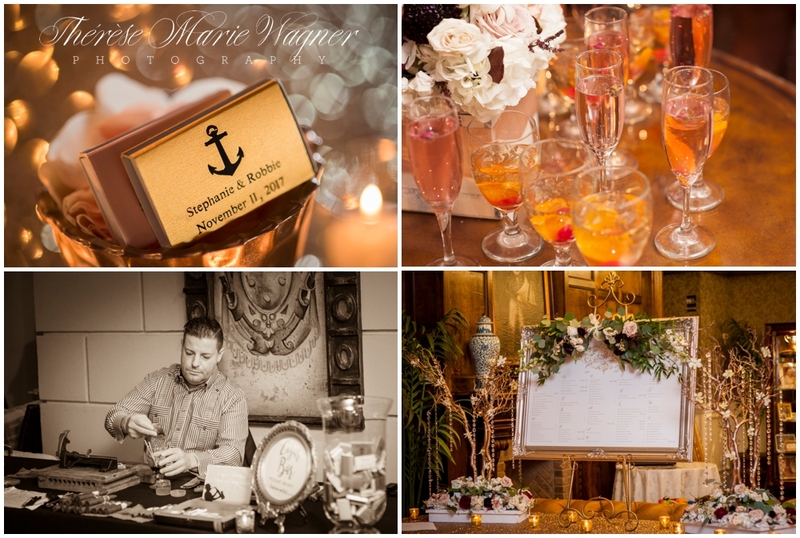 As the sun set on the water, candles were lit and the ceremony room became bathed in beautiful amber glow as Stephanie and her father walked down the aisle while the talented Ceremonious Strings played. Guests were were given glasses of champagne and led to the amazing cocktail hour by Taste Catering who did a magnificent job with every station. A live band, Thor Tollefsen Event Group, cigar rolling station and a custom miniature sailboat made by Stephanie’s father just made the day! For the reception Stephanie worked with MDS Floral Design to create perfection! 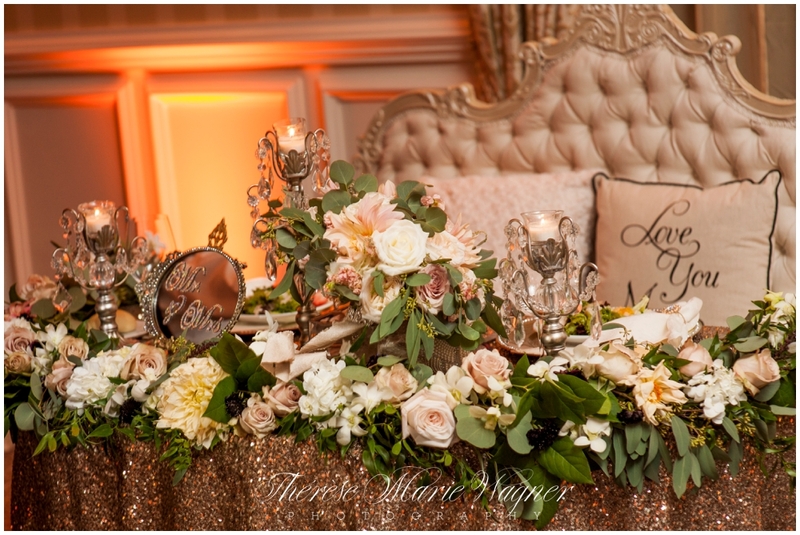 High and low arrangements in gold candelabras were adorned with crystals, small mirrors shown with crystal table numbers, glittering gold laser cut menu cards and hand cut names for the head table were just a few of the many special details. Small gold framed signs were throughout the venue with little statements of the things the bride and groom loved about each other. The ring pillow stayed on display as it was made from Stephanie’s Christening gown. For their first dance the couple choose “Can’t Help Falling in Love” preformed live by Stephanie’s talented 15 year old nephew as “snow” fell from the sky. It felt as if Frank Sinatra was in the room with them, absolute magic! The party lasted well into the night with the SCE Event Group at the helm and a delicious cake from the famous Carlo’s Bakery.